2017 Update: We still stand by this advice on how to become a better manager (and links have been updated below), but you may also want to check out our latest discussion on online women’s management training. How do you become a boss and a more effective leader — whether you’re new to management or you’ve supervised people for a while and want to improve? 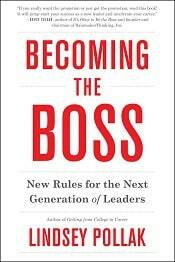 Becoming the Boss: New Rules for the Next Generation of Leaders by Lindsey Pollak (2014) — Written specifically for millennials, Pollak’s book “helps you identify your next professional move and shows you how to succeed once you get there.” Lois P. Frankel, author of Nice Girls Don’t Get the Corner Office — a Corporette favorite — gave it a positive review. 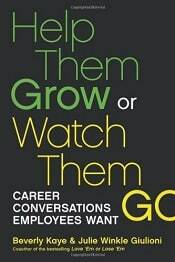 Help Them Grow or Watch Them Go: Career Conversations Employees Want by Beverly Kaye and Julie Winkle Giulioni (2012) — Kaye and Giulioni focus their advice on career development and having frequent conversations with your staff — “integrated seamlessly into the normal course of business” — to improve their performance and refine their goals. 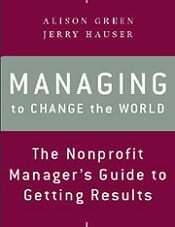 Managing to Change the World: The Nonprofit Manager’s Guide to Getting Results by Alison Green (of Ask a Manager) and Jerry Hauser (2012) — Although the book was written for nonprofit managers, Green says “there’s little in here that I wouldn’t recommend to any manager in any sector.” Green and Hauser review goal-setting and accountability, effective delegation of tasks, staff hiring and retention, and more. What kinds of resources have helped YOU become a better manager? Nice Girls Don’t get the Corner Office was a good read for me. I had come from very tiny non-profits and transitioned into a big, Fortune 500 company, and I was very much the “little girl” on the team, despite having 2 direct reports. From reading the book, I realized a lot of that perception came from my own subconscious behaviors–things like asking permission, bringing in baked goods, wearing Mocloth cutesy-dresses I THOUGHT were professional but just made me look clueless, etc. It made me more self-aware and I’ve made great strides in my professionalism and how I present myself. Particularly in terms of management, I learned how to give myself more authority and gain respect of my reports. Agree. There’s some un-PC and harsh truths in this book, and its efficacy will vary by industry, but I do think it has some very important tips. I was a manager for more than a decade (yikes) before quitting to start my own consultancy. Now I write and speak about management, as well as continuing to serve as a project manager on client projects- so I still try to stay current and keep growing my skills. One of the things I love about management is that you can always get better, and there is always more to learn. I find reading the Harvard Business Review website and listening to their podcasts very helpful in terms of growing as a manager. The book Growth Mindset, by Carol Dweck also helped me get better at growing my team. In terms of advice specifically for women, I really like What Works for Women at Work. It helps you understand the implicit biases you face, which can help keep you from internalizing them and feeling like the problems you face are your own fault. It also has some advice for techniques to overcome the biases, but I think of it more as laying the foundation so that I can better evaluate the advice I come across. There is a lot of BAD advice for women out there. Thank you for this website. One of the things I realized I needed to do when I started my own consultancy was update my wardrobe to look the part. Your site has been very helpful for that. – Creating Magic: 10 Common Sense Leadership Strategies from a Life at Disney. Very good principles for managing a team, especially regarding setting expectations and creating culture. – Whale Done! : The Power of Positive Relationships. 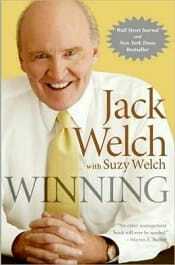 I really liked the book’s focus on looking for and developing strengths in those around you. It’s told as a bit of a story, based on orca training methods, which may not be as appropriate anymore, with the controversy caused by Blackfish. I still really enjoy the message though. Thank you so much for this post! I’m definitely going to pick up a few of these titles. I’m just about 1-year into a new position that has me managing a project team, which I love but did not expect! I want to stay ahead of the curve and avoid developing bad management habits because unfortunately, I think my company is full of bad managers. I was also thinking of asking to be sent to some management seminars. Does anyone have any good suggestions for well known and worthwhile management seminars I could look into? NAWL did a series of management seminars last year, like this one (Management 101: What They Didn’t Teach You In Law School) with Lisa Horowitz http://www.nawl.org/p/ca/vi/sid=166 It looks like if you click on the link at the bottom and enter your info, you can still listen on demand. Hands down the best. Practical tested advice by professional managers and coaches.. Along the lines of Nice Girls Don’t Get the Corner Office, I really enjoyed What Works for Women at Work by Joan Williams and Rachel Dempsey – http://www.amazon.com/What-Works-Women-Work-Patterns/dp/1479835455/. 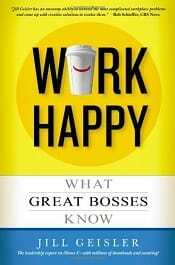 Joan Williams has done some fascinating work at the Center for WorkLife Law, and the book is very well researched. It discusses patterns that women can get stuck in in the workplace (like constantly having to prove yourself again or getting mommy tracked) as well as strategies for breaking out of those patterns. It also has an interesting chapter on how the experience of gender bias differs by race, which is something that I don’t see discussed very often. Fantastic list! Some great reads on there! I’ve readErika Andersen’s book and found it an incredibly well paced and informative read. Managing by personality types is a great tactic, as management rarely has a ‘one size fits all’ style. Great recommendations. 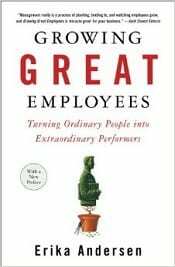 I’ve read “Help Them Grow or Watch Them Go: Career Conversations Employees Want” because of your recommendation and I must say it’s really helped my leadership skills at work, it offers great insights into the mindset of a solid leader. Thanks for sharing.